The St. Louis Weekend Events Guide for Thursday, August 20 through Sunday, August 23, 2015. Not So Quiet Concert Series: The legendary Jake’s Leg will perform outside Central Library at 7pm. More than a Grateful Dead tribute band, Jake’s Leg interprets the Dead’s iconic sound with their own musical and emotional identity, while upholding the integrity of one of the world’s greatest touring bands. In addition to the music, Urban Eats Café Central will be on hand selling delicious drinks and flavorful food with an ethnic twist. If it rains, we’ll move into Central’s spacious auditorium and keep the party going. Movie Night at Ballpark Village: Enjoy an outdoor movie screening in the beer garden with the classic film Top Gun this Thursday at 8PM. Misters will keep you cool as you enjoy Goose Island drink specials, movie related activities and more. Free popcorn to any guests who complete a data card onsite. Goodness gracious, great balls of fire! 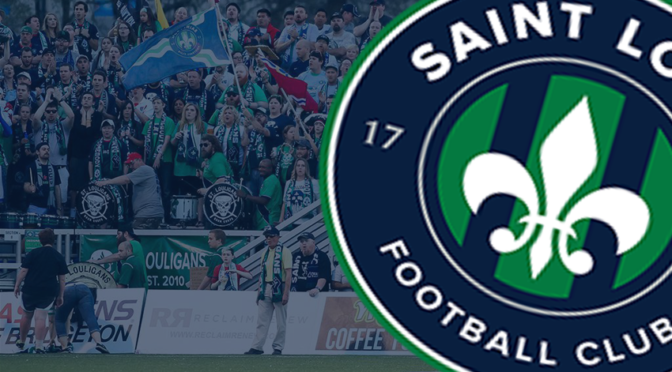 Thirsty Thursday Saint Louis Football Club: Head over to the World Wide Technology Soccer Park for Thirsty Thursday. 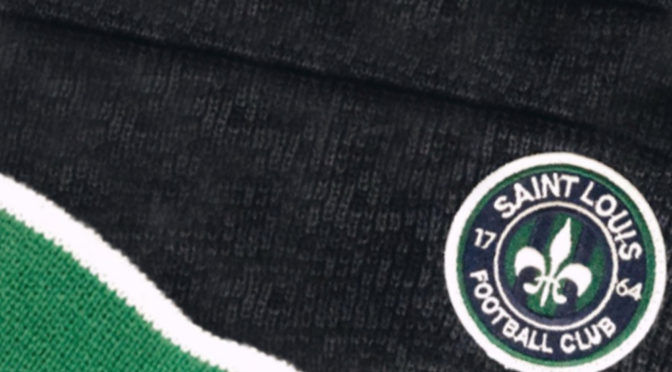 Cheer on the Saint Louis FC as they take on Charleston Battery. Thirsty Thursday specials include $3 Heineken Draft Beers and $2 Corn Dogs. General Admission tickets are just $12. 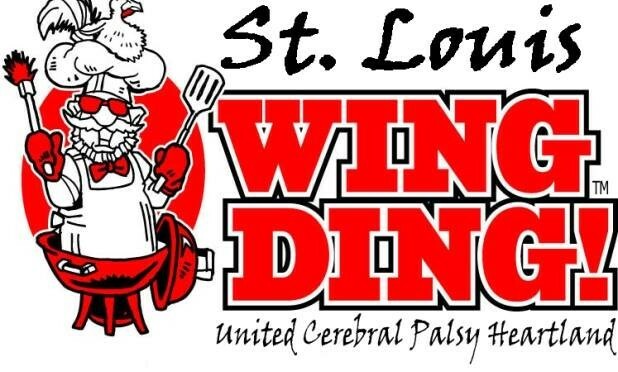 St. Louis Wing Ding: United Cerebral Palsy Heartland hosts their annual chicken wing festival and fundraiser event. Enjoy wing tastings from 22 local restaurants including: St. Louis Wing Company, Gators South, Highway 61, Sugarfire Smokehouse, The Wood Cask, Wheelhouse, and many more. There will be cold beverages, raffles, dessert from Ices Plain & Fancy, entertainment and celebrity judges. GA Tickets are $25/advance or $30/Day of and include wings and 2 drink tickets or go VIP for $45/advance or $50/Day of. This is an indoor festival. Rise Up Festival: Come celebrate St. Louis metro area revitalization efforts. The Rise Up Festival will feature live music acts from local favorites including: Jeremiah Johnson Band, Bottoms Up Blues Gang, and Dirty Muggs. The St. Louis Hoops Club will also perform. Enjoy food and beverage from local vendors, including libations from Urban Chestnut. 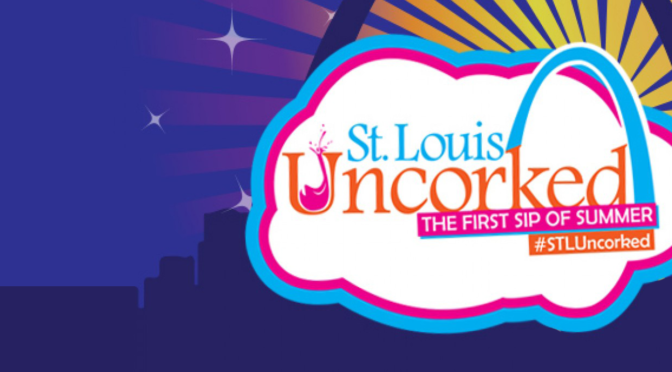 There will be family-friendly areas for the kids along with street and circus performers, plus a fine arts and crafts show jointly produced via juried selection with the St. Louis Art Fair. 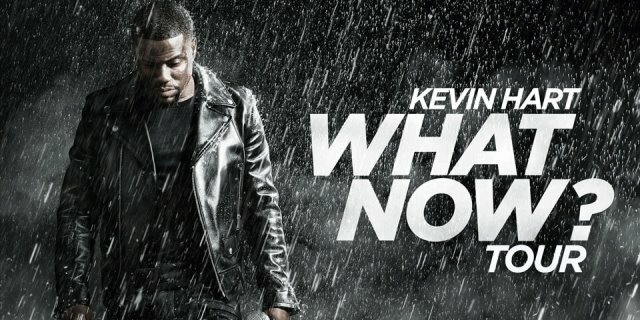 Kevin Hart What Now? 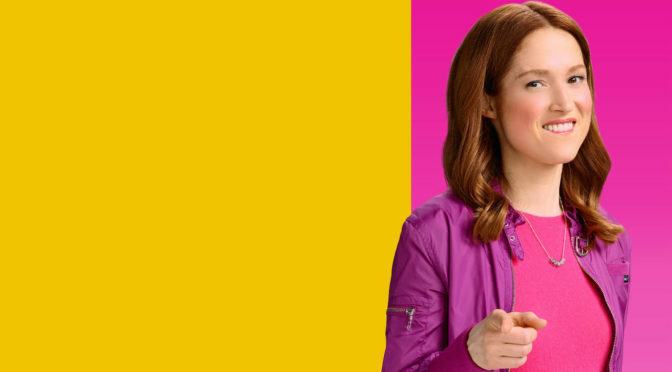 Tour: One of America’s favorite comedians is coming to St. Louis. His last comedy tour, Let Me Explain, took him to 90 American cities before hitting countries throughout Europe and Africa. A testament to his talent and popularity, Kevin became only the second American in history to sell out London’s O2 Arena. In addition to his comedy tours, Kevin has also starred in several funny movies including The Wedding Ringer and Get Hard. This year he will release two movies and is currently Executive Producing the hit show, Real Husbands of Hollywood. Tickets start at $46.50. Third Fridays: An exciting night of fun with glass, featuring a glassblowing demonstration by guest artist Tony Cray! Chow down on some delicious nosh from Holy Crepe! Exciting guided glass art activities: Work in our studios to make your own paperweight, flame-worked glass beads, fused glass jewelry or nightlight ($35). Featured project this month: Fused glass chalkboard tiles! 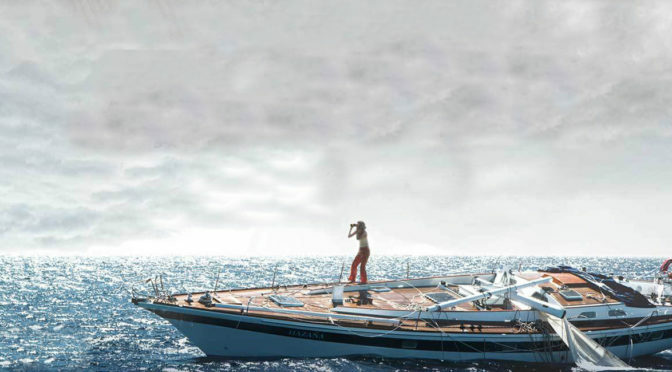 East Gallery presents its new installation: “Beloved Objects” by Jeffrey Sass: a collection of fascinating manipulated photographs! At 8pm The Kevin Mitchell 4 Band is back for another swingin’ good time, plus sunset fire spinning by St. Louis Fire Technicians. STL Night Riders Car Show, Light Show & Pool Party: The STL Night Riders Corvette Club is hosting a car show, a pool party, and more this weekend. Head out to The Hilton St. Louis Airport Hotel at 7pm for a meet & greet on Friday. Then enjoy a light show held at dusk. After the light show there will be a pool party at the Hilton pool. Head down to Laclede’s Landing on Saturday for an all day car show and exhaust show followed by the after-party at Knockouts Bar and Grill in Florissant. Festival of the Little Hills: The largest festival of the year with over 300 craft booths and demonstrations by crafts people and artisans. Crafters inlcude: Wood, Ceramics & Pottery, Metalwork, Fine Art & Photography, Clothing & Fabrics, Florals & Plants, Folk Art, Jewelry, and more. There will be a variety of food vendors including funnel cakes, brats, watermelon, shaved ice, kettlecorn, tacos, Gus’ pretzels, toasted ravioli, Ted Drews and more. Live music from St. Charles Municipal Band, Miss Jubilee, That 80s Band, and more. Trailnet’s Bicrobrews: Learn what it takes to craft a great brew from St. Louis’ urban microbreweries. A less than 15 miles bicycle tour starting at Alpha Brewing Co, with stops along the way for tastings and tours. Must be 21 to participate. There’s never been a better time for the midwestern craft beer lover. With the microbrewery scene in St. Louis rapidly expanding and putting us on the map as one of the top 10 beer cities in the US, this is the perfect opportunity to check them out. Registration is $8 in advance or $10 day of. Secure parking and breakfast options will be also available. 3rd Annual Sinquefield Cup: Come and cheer on some of the world’s best chess players as they battle for the top spot in 2nd leg of the Grand Chess Tour. Come and meet the players of the Grand Chess Tour at 12pm on August 22nd at Kingside Diner and get a signed autograph. 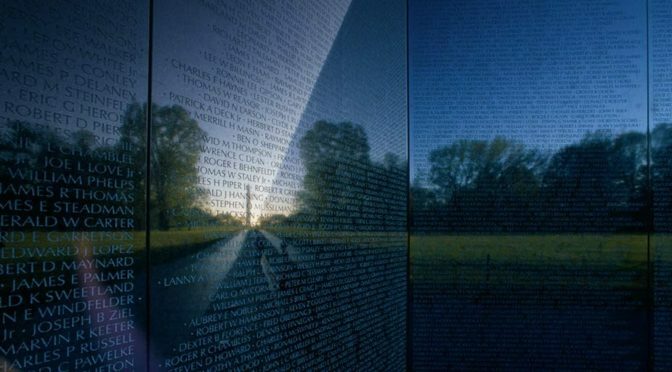 Ticket-holders may view commentary in three separate spaces at the event. Tickets are: Single Round Pass: $10, 9 Round Pass(includes playoff, but not Ultimate Moves): $80, and Ultimate Moves: $10. Indie n’ Summer Night Market: Enjoy cold brews and local music at the Indie n’ Summer Night Market at The Old Bakery Beer Company in Alton, Illinois. You can peruse the freshest handmade designs from makers on both sides of the river, hang out, sit back, and enjoy a late summer night. Admission is free. Vendors include: Villa Design, The Foundrie, Just Liv, Handmade Family, Zenbot Design, beqi clothing, Irie’ Elements, Scarlett and Maria, Strung Out & Wired, and tons more. 7 Bridges: The Ultimate Eagles Experience: Nashville, Tennessee based Eagles tribute band, 7 Bridges, faithfully re-creates the experience of an Eagles concert from the band’s most prolific period. Every show features one brilliant hit single after another with some mighty Don Henley and Joe Walsh surprises sprinkled into the mix. 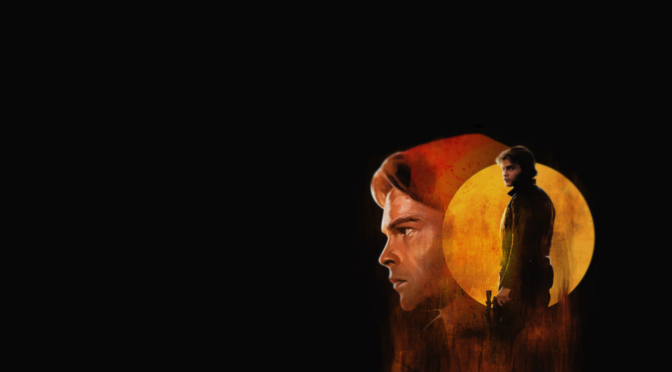 The band features Jason Manning as Glenn Frey, Keith Thoma as Don Henley, Bryan Graves as Randy Meisner/Timothy B. Schmit, Race Godson as the eccentric and unpredictable Joe Walsh, Douglas Gery as guitar wizard Don Felder, and Vernon Roop as Joe Vitale. 7 Bridges provides an all ages, family friendly show weaved into a powerful rock-n-roll concert experience, and it’s free as part of Chesterfield’s Sounds of Summer Concert Series. 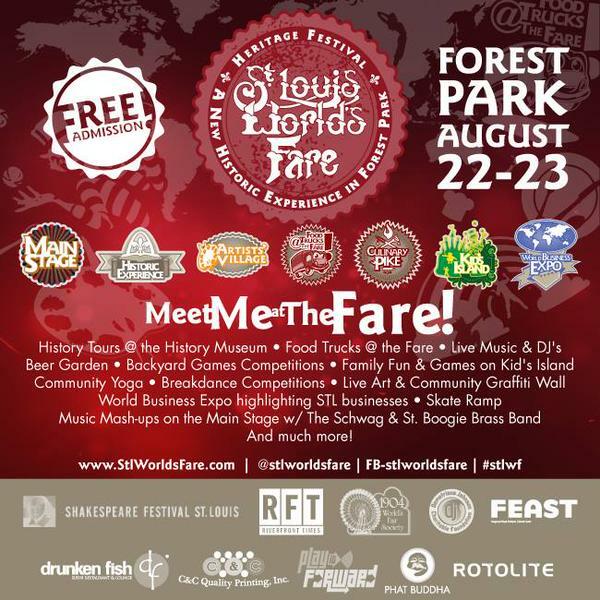 World’s Fare Heritage Fest: An annual event whose mission is to bring together people of the region, showcasing the finest elements of art, music, business, and food while we rediscover the rich heritage of St. Louis. Forest Park will be the centerpiece of this celebration featuring events and competitions that embrace the history of the 1904 St. Louis World’s Fair, highlight the culture of St. Louis today, and look to the future as stronger more unified community. 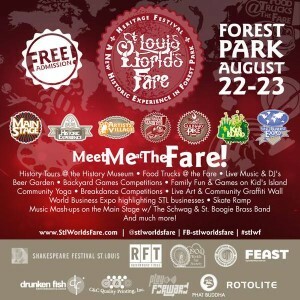 Enjoy over 15 favorite St. Louis eateries and food trucks at The Culinary Pike, family activities, and live musical performances including an appearance by Grateful Dead Experience: The Schwag w/ Special Guests, historical exhibitions, live art displays, and a business expo supporting innovative ideas and small business. Admission is free.